Apple continues to unveil interactive HomeKit demos at Apple retail stores worldwide, for free customer testing. 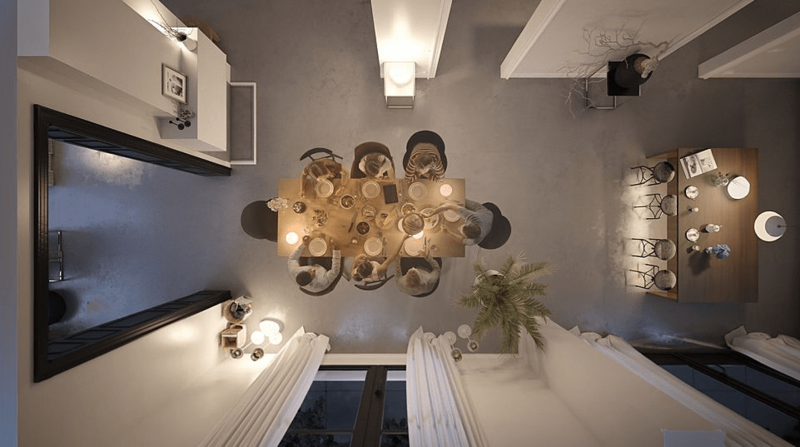 Recently, Apple started sharing interactive HomeKit experiences at 46 Apple retail stores so that customers could try out the smart home platform and get familiar with HomeKit. New stores keep being added and having HomeKit available to test out with different devices and environments, makes it easier for customers to understand how it could work for them. With just the one Home app, you can control all your home accessories from one place, simplifying management and daily usage. There are over 50 brands so far that have provided accessories compatible with HomeKit and new ones are constantly being added. Apple has reviewed all these accessories prior to approval to ensure security. The interactive demos at the Apple Store consist of two vertical displays behind an Apple Watch, iPhone and iPad all equipped with the Home app. Customers can use the Home app to control accessories in the virtual room ranging from lights (such as the Phillips hue light bulb) to ceiling fans (Hunter ceiling fan). The app demo also shows how you can control other home accessories via a virtual environment demo, showcasing examples like lowering the shades in the living room and other options. With HomeKit, you can control a lot of devices including lights, switches, thermostats, fans, and other products using the Home app and also Siri voice commands. You can control a single device at a time or multiple in combination just using one command. For example, you could ask Siri to turn off lights from your iPhone or figure out who is at the front door using your iPad. Example: Phillips Hue White Starter Kit. The Philips Hue White Starter Kit lets you create a customized lighting environment in your home from anywhere. You can control up to 50 lights and automate schedules via a wireless connection and your Home app. You can crate your own personal lighting theme with your iOS device. When you are shopping for accessories or checking for compatibility, look for this symbol. Here’s currently available HomeKit-enabled accessories at the Apple store. 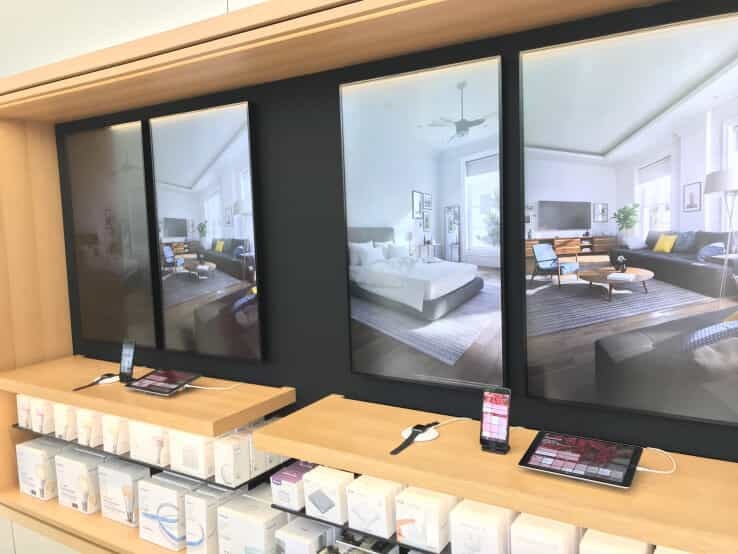 Currently, the HomeKit interactive experiences are available at several locations in the United States such as Apple’s flagship stores in Union Square, San Francisco; its World Trade Center and Williamsburg stores in New York City, as well as 28 other stores throughout the country. These demos are also available at 15 international locations such as the United Kingdom, Germany, Mexico, Singapore, Taiwan, and the United Arab Emirates.